Dr. Orest G. Komarnyckyj (Dr. K) is an experienced periodontist, and the first specialist office in Arizona to offer perioscopy. The perioscope (or endiscope) magnifies tooth calculus up to 48x for removal below the gum line. It is a minimally invasive therapy for the purpose of tooth loss prevention. AlloDerm is a gum tissue grafting procedure that helps preserve teeth when gums recede. These two procedure sheets are used to educate patients about these treatment options. 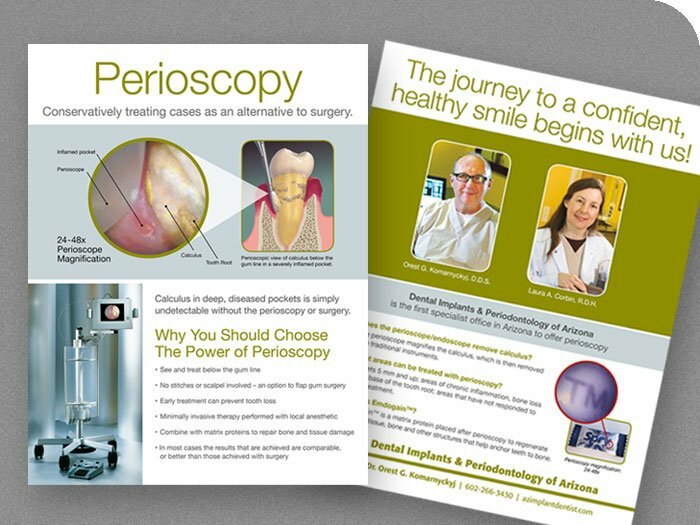 Perioscopy conservatively treats cases as an alternative to surgery. It allows for a magnified view to see calculus and infected pockets in the gum, thus allowing for a close-up view to be treated. Dr. Orest G. Komarnyckyj with Dental Implants & Periodontology of Arizona is the first specialist office in Arizona to offer perioscopy. 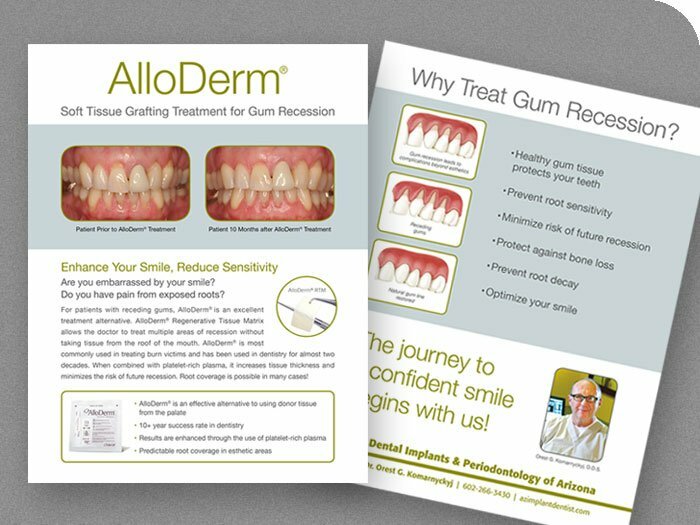 AlloDerm is a soft tissue grafting for treating gum recession. It is an alternative procedure using AlloDerm® Regenerative Tissue Matrix combined with using platlet-rich plasma (PRP) to enhance results. This info sheet explains the procedure and why it may be necessary to prevent tooth loss.